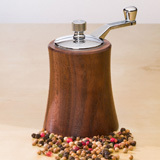 Create a hand crafted pepper mill and enjoy fresh ground herbs, spices, and peppercorn at the table or in the kitchen every day. 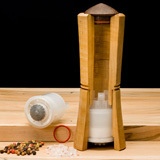 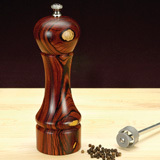 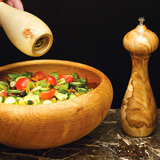 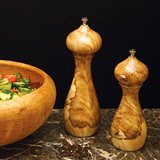 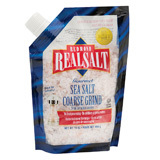 We offer a wide range of premium quality pepper and salt mill kits from 6 to 17 inches in length. 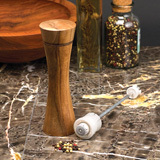 From the innovative CrushGrind mechanism to our traditional style Artisan® and Turners Select™ mills, making fresh ground pepper and spices, that are aromatic and hull-free, is quick and easy. 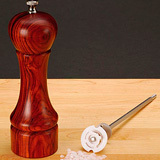 Along with our pepper mill kits, you’ll find a complete selection of Maxi Cut forstner bits, pepper mill blanks, salt and pepper shaker caps and more all at exceptional prices.